I love traditions. Growing up, my family celebrated every major holiday with some sort of tradition. Even something as simple and silly as receiving a chocolate bunny at Easter is a big part of tradition for me. (P.S. 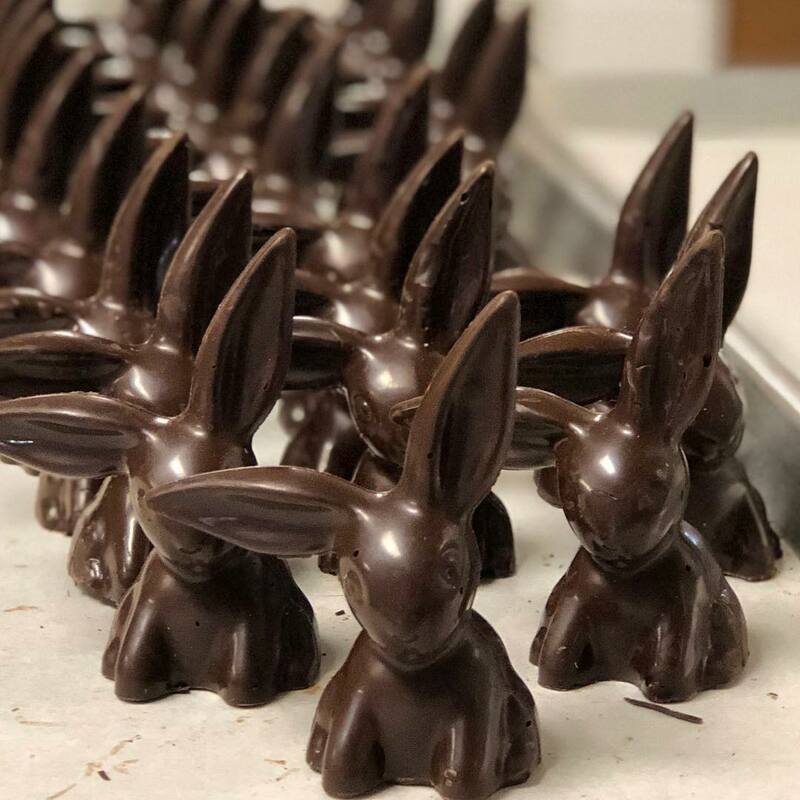 these local chocolate bunnies from Knoxville Chocolate Company sure do look extra delicious! Isn’t that beautiful? Creation worships the risen Savior every year with new life and rebirth, so why aren’t we more intentional about doing the same? What would our families look like if we started to do things again that have " gone cold" in our regular routine? What would our marriages look like if we gave new life to things that have “been dormant” in our relationships? These questions are certainly ones that can make me tired just thinking about them. While I am blessed with a healthy family, there are always things that can be done better and some months (or let’s be honest, years) pass by while I continue to hit snooze on analyzing what poor habits I have allowed to lie dormant that need to be given new life. Now if that doesn’t make you at least want to do a tiny bit of a happy dance, I don’t know what will! Paul says, "We too might walk in newness of life", not "We can sludge through life hoping that hings will be a little better". So, with that encouragement in mind, let’s throw off our very comfy and cozy blankets of complacency and join Christ in being set free in our families! What needs to be resurrected in your family? The best part about this question is that there’s no wrong answer! Each family has its own unique struggles and strengths. Begin by first praising God for what he has already resurrected in your family! In my case, I am praising God for resurrecting our time with Him. Last year when life was difficult and busy, we weren't intentional about praying and seeking him together each day. While we would have personal time with God, we weren't taking enough time to go to him together. God showed us that this was something that had become dormant in our relationship and through his grace and our decision to prioritize this time, this is now a thriving part of our relationship! Secondly, choose one thing, ONE, that you want to lay at God’s feet and ask him to help you crucify. Then, pray that you would partner with him in doing your part to bring it new life. For some, choosing only one thing to focus on at a time out of the many you think need to change may prove to be difficult. But for others like myself, laying aside your pride and really looking to find anything that needs resurrection may be more difficult. By choosing just one thing at a time to pray about and work on, the entire family can remain focused on encouraging one another and praising God when he brings new life to that area of your relationships! Remember that you're not alone as you go through this season of waiting for resurrection. Ask your community of believers to pray for you and keep you accountable. You can also look for resources that can encourage and guide your family. Our resource page is full of books and DVDs that we pray bring you encouragement. If you answered "C" and you recognize that there are many things that need resurrection in your marriage or family, we suggest that you find someone who can provide Godly counsel. That may look like attending an event such as a conference or receiving marriage or family counseling. We can't wait to hear about how God brings new life to your family this Easter! Let us know how we can be specifically praying for your family by commenting on this Facebook post and encourage other families to experience resurrection in their relationships by sharing this blog with them. May you "be united with him in a resurrection like his" this Easter!